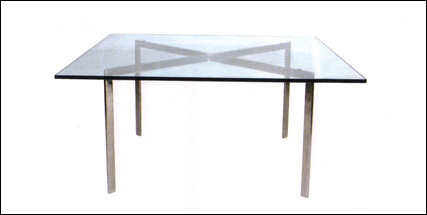 The DC6053 table that we offer is a faithful reproduction of the original design by Mies van der Rohe in 1930, but should not be confused with the original - our very competitive price reflects this. 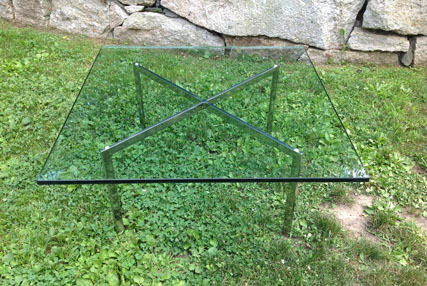 The design of this glass topped coffee table typifies the elegant and minimalist style of the age. As we currently hold stocks of genuine vintage Knoll tables and chairs at our UK warehouse, we are happy to offer these pre-used products for sale.